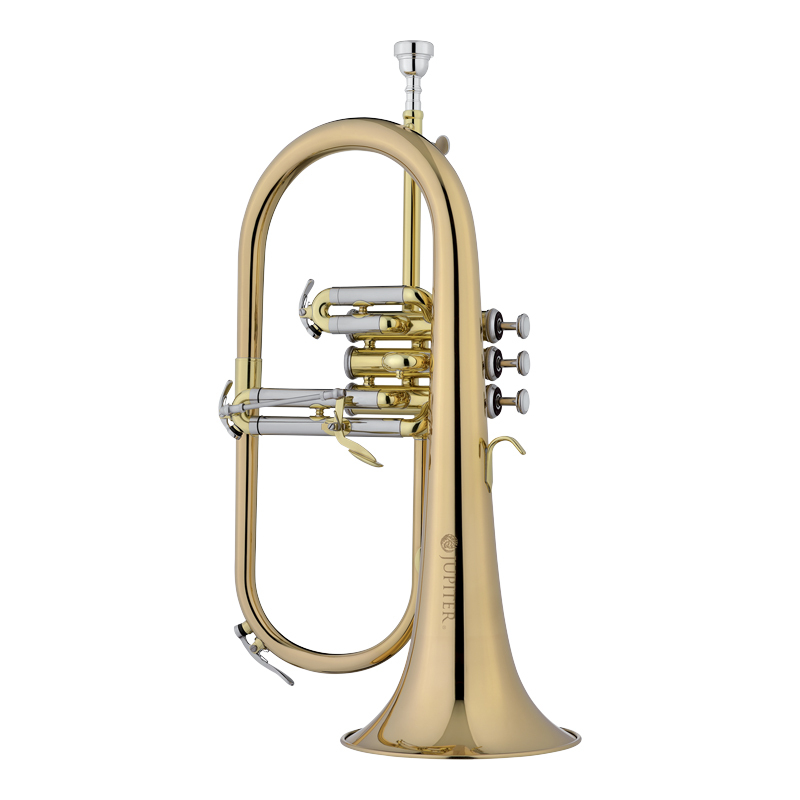 Thanks to a new manufacturing process, the Jupiter flugelhorn is one of the best intermediate flugelhorns available. The JFH1100R has a hand-hammered bell that boasts a precise and perfectly even bell thickness for a smooth and vibrant sound. Its bell and bell branch are made of rose brass for a warmer sound with greater tonal presence and its nickel-silver outer tubes and Monel valves are built to last. Hand fitted, dual-lapped Monel valves provide exceptionally fast action and quiet operation. French tuning slides provide the player with easier tuning adjustments and improved intonation. Three water keys and a 3rd-valve slide trigger with a push rod fitted with metal joints round out the instrument’s impressive list of features. The Jupiter flugelhorn is also an ideal second instrument for musicians changing between trumpet and flugelhorn. Superior craftsmanship, playability, and dependability make Jupiter the sound choice for any solo or ensemble application.